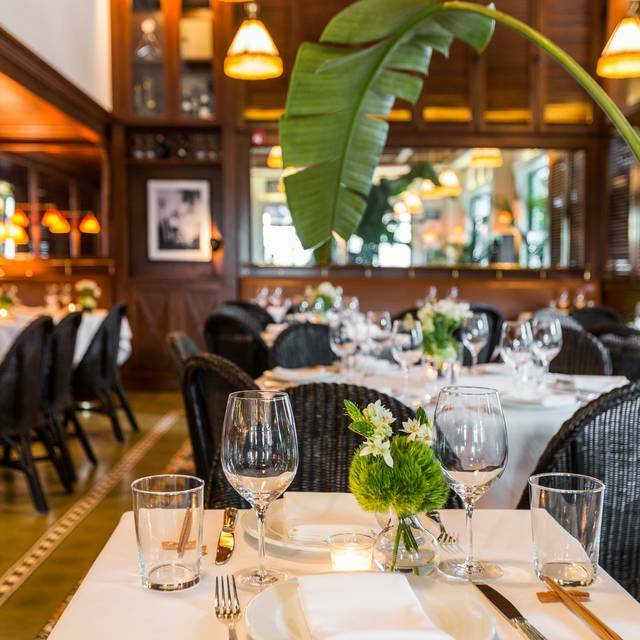 You must make reservations at least 5 minutes in advance of the time at Le Colonial - Houston. 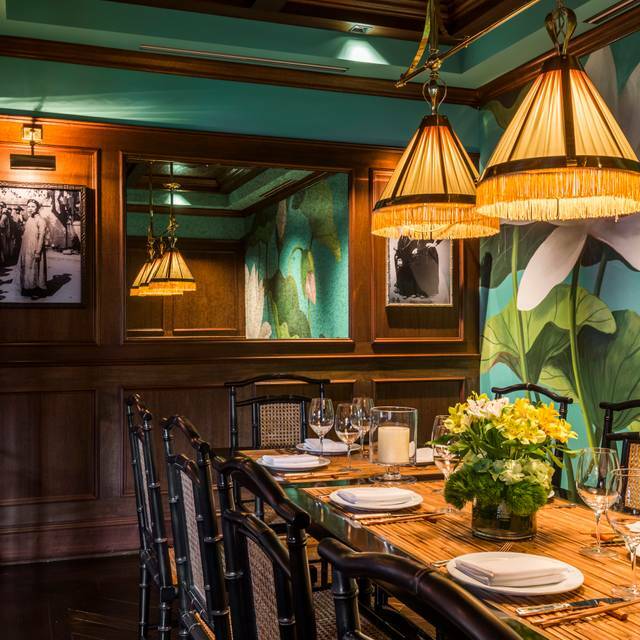 Le Colonial is a celebration of the seductive spirit and vivid flavors of 1920’s French Colonial Southeast Asia, located in the heart of one of America’s largest and most diverse cities. 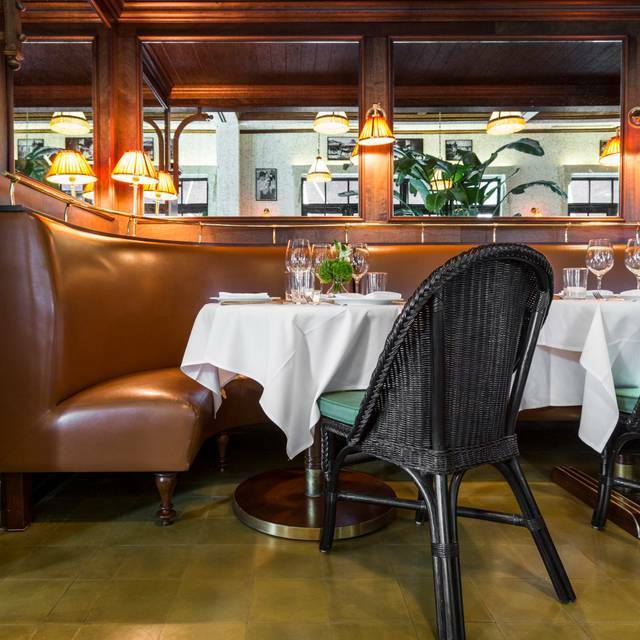 A lavish downstairs dining room is adorned with period photography, overhead fans and leather banquettes, and flanked by a Parisian-Style sidewalk café. 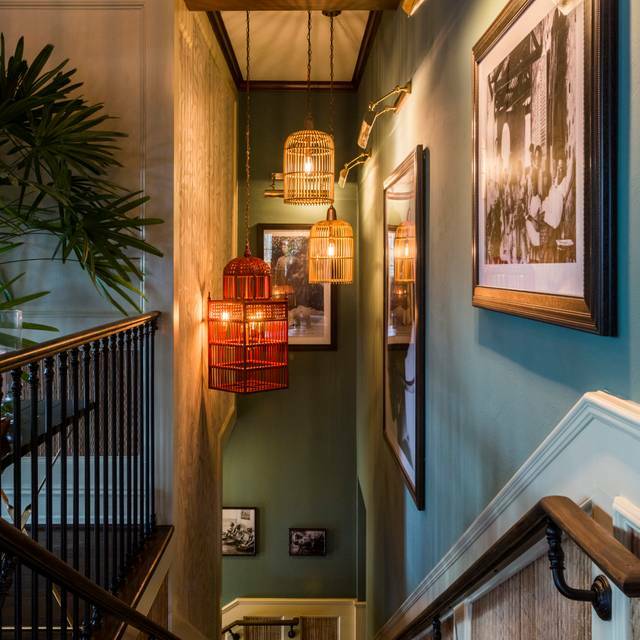 A dramatic staircase leads to a second level lounge, where a large bar, mahogany millwork and plush seating create the perfect atmosphere for cocktails and light fare. 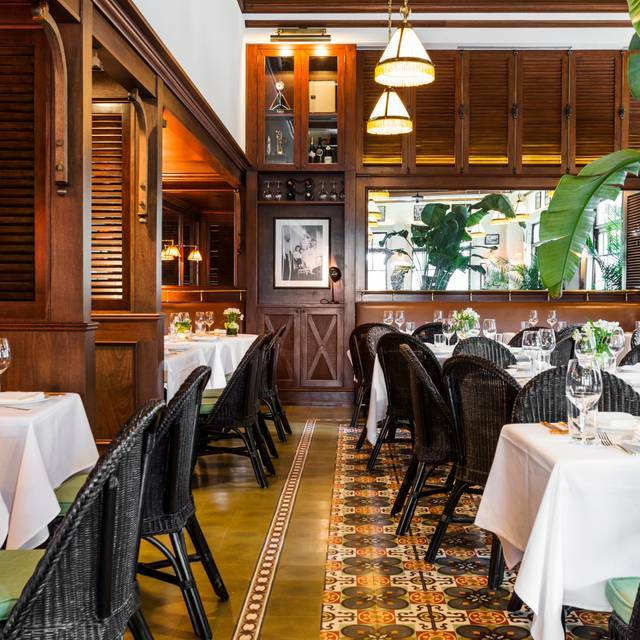 Custom louvered shutters surround the west veranda, while an additional terrace on the north side is fully enclosed and features additional dining tables. 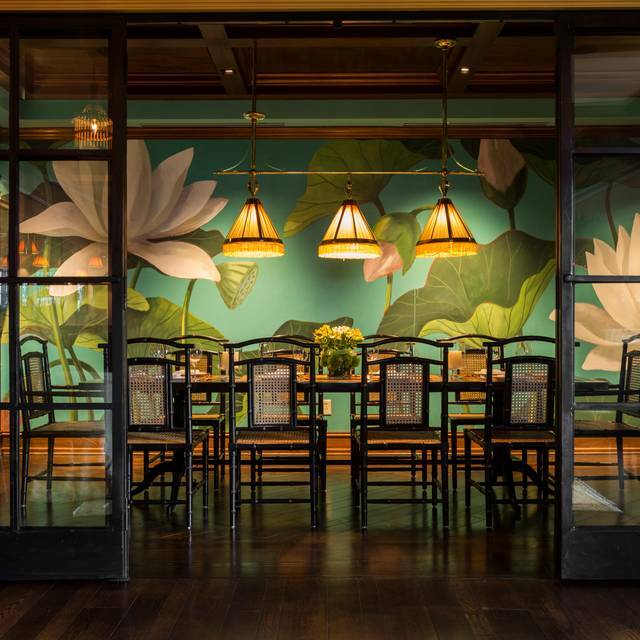 The Lotus Room, anchored by a mural created by Swedish muralist Jonas Wickman rendered in gentle tropical tones, seats up to 14 for private dinners and wine tastings. The Food is very good as well as the atmosphere, my only complaint is the food comes out literally the second after you order it almost faster than fast food . That is a negative for me , when going out for a meal if it’s not fast food I want to spend some time and not have my meal served like it was already prepared before I arrived . This happens every time I eat here . Thank you for providing perfect music to dine by and not loud club music. Thank you for attention to detail in everything! Thank you for exceptional food presentation, outstanding flavor, variety and taste of dishes, charming atmosphere, and precise service. 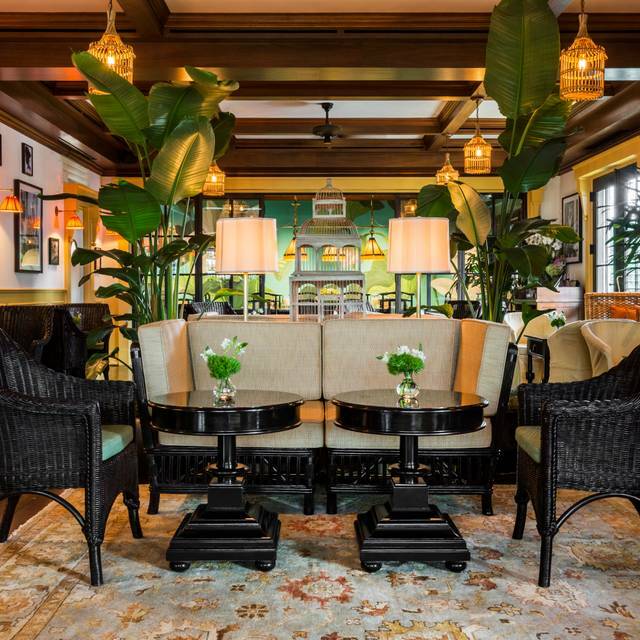 I SOOOOO appreciate the genuine beauty of the room too - every appointment, architectural detail, floor tiles, shutters and wood work, furnishings, and artwork - even the lavatories are beautiful. 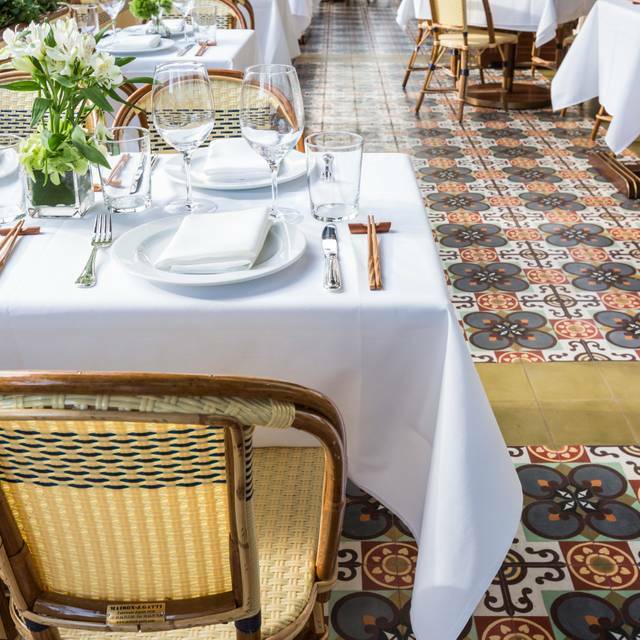 There is no other restaurant in Houston with as lovely a dining venue. The prices are moderate and make a pleasurable dining experience even better. This is a 360 degree dining experience for all the senses. I have loved the whole experience each time! Go and treat yourself. You will not regret it! Another excellent experience at Le Colonial. Wonderful service, delicious food, fun bartender, great ambiance. Food was excellent, service was good just a little pushy to make us place our order and then later in a hurry to close the bill. Had a lovely five hour lunch with a girlfriend for my birthday. Everything was great but your prices are a little high. Food is outstanding and ambiance of French Vietamsese decor wonderful. Green chicken curry is to die for. BTW, I already posted a review on TripAdvisor. This was our second visit and just like before, the food was excellent. We loved the "signature" duck dish. The service this time was acceptable, but below what one would expect from this level restaurant. I arrived after my party was seated and had to remind the hostess about my request for a specific seating. Luckily, we were reseated to a preferred table. Unfortunately, even though I stated this on the reservation, and talked about it on the phone, the 75th birthday occasion was not acknowledged. I saw at least two tables where the restaurant had celebrated someone's birthday. Perhaps the attention to the private event upstairs compromised the efforts downstairs? I give Le Colonial 4 start out of 5. We were six for my wife's birthday. We ordered drinks and enjoyed the location and the ambiance. The River Oaks District location is high-end and trendy. Our first round of drinks arrived promptly, some cocktails, some wine. The second round, unfortunately, had a funky taste - my wife and I both noticed it. Perhaps it was a different bartender or something. We ordered appetizers, spring rolls and egg rolls, all delicious. For the main course I ordered the salmon (please don't pronounce the "L"), my wife ordered a spicy shrimp dish, and our friends ordered a variety of other entrees. All of the entrees were very tasty. My salmon was *maybe* a little overcooked, but it was still very good, and I wouldn't dock the restaurant a point just for that. The main issue was that we ordered a side dish of fried rice and asked that it be made with no sausage (no pork). The dish came out... with sausage. This is a big no-no for us. If we specifically ask for a dish to be made without an ingredient and the waiter acknowledges it / writes it down, it should come out properly. Thankfully this wasn't a big allergy issue, as that could be a significant problem. Though our dinner tasted very good and the environment pleasant, the improperly prepared dish (sausage in the fried rice), overcooked salmon, and "funky" drinks leave Le Colonial with 4 stars. Houston is a "foodie" town and there are many other upscale Asian restaurants looking for our dollars. I would recommend Le Colonial, but perhaps lump it in with other restaurants in the neighborhood. A charming restaurant. quality food, good service, and a nice, intimate space until the drunks arrived. Consequently, I suggest dining on the early side unless your hearing is already shot from too many Metallica concerts. On balance, a great place to dine, if you are fortunate to miss the party crowd. I had high hopes for this place, but the food was bland. When the manager comes by to offer side sauces, you know we can’t be the only ones dressing up our food. The acoustics were loud and it was hard to have a conversation. Great atmosphere. Best Vietnamese cuisine in the city. Always a fabulous, fun time at Le Colonial! Poor service during busy Saturday evening. Poor communication. Had lunch on a Saturday. They seem to attract families visiting from Latin America with small children, which made it very noisy. Service seems to be slow, even though the place was about 30% full. Other than that the food was good, the decor's very nice, and the location's good in the River Oaks District shopping open-air mall. Such a lovely evening st Le Colonial! 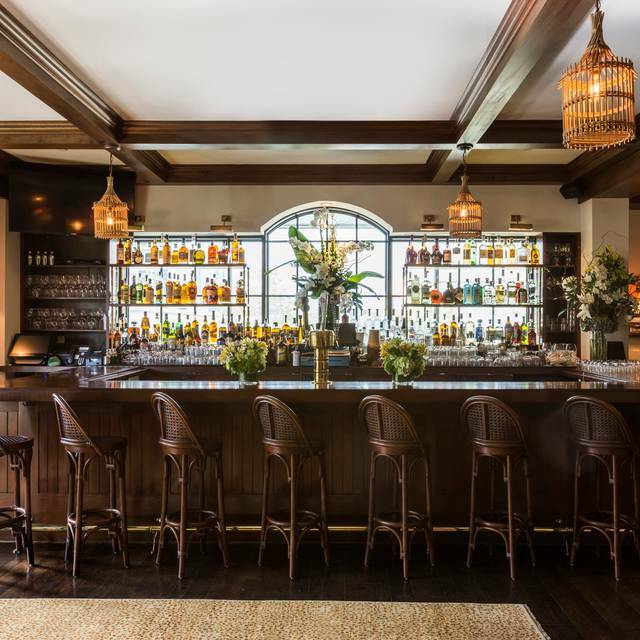 Excellent food and cocktails, super friendly service and a beautiful area on the upstairs patio! Thanks so much for the hospitality. Well conceived small plates with a good wine list. The service was good and the ambience active. Outstanding as always. Amazing food. Quiet enough for intimate conversation. Outstanding Food and service by our server Mr Long (I am sure I don't have the spelling of his name right ,sorry ) but his knowledge and service were to point . loved the restaurant ambience . we shall return . Love this place. My favorite Shaking Beef is awesome, as are the Brussels sprouts. The waiter we had was excellent: he was there every time we wanted something yet didn’t hover. They lose a star for something that is not their fault yet affects the experience- valet parking. It’s just a bad setup - there is a single lane leading to the restaurant so it gets very backed up. After sitting in the westheimer traffic to get here, you then sit in traffic outside the restaurant. A bit annoying but still worth it. Food is excellent. It’s very loud and he’s to have a conversation. I’ll still go back. Maybe lunch is a better time. A delightful find. The theme of Le Colonial creates a lovely old world atmosphere. The food is beautifully prepared. This was our first time but we will be going back. Beautiful designed restaurant. Great variety of food option. Would return. My chicken stir fry was very normal. My fiancé’s seafood dish was fantastic. The rice and mushroom ravioli was delicious. It’s nice that the waitstaff attempts to pronounce the dishes in Vietnamese. However, for someone from Vietnamese decent, their pronunciation isn’t thoroughly accurate and therefore confusing/misleading. I specifically ordered the Spicy Beef Carpaccio Salad (in English) and somehow the Chicken Salad came out. I ordered in English and pointed at the item on the menu in attempt to avoid this mishap but it still happened. Spicy Beef Carpaccio Salad can get VERY SPICY. Watch out for the little sliced Thai peppers! Banh Cuon (Chicken & Mushroom Ravioli) is my absolute favorite. The “ravioli” wrap is thin and soft. The fish sauce tastes authentic like a real traditional Vietnamese mommy/auntie/nana made it! This is my highest compliment since there’s no other Vietnamese restaurant inside the loop (besides maybe Huynh) that has good banh cuon and nuoc mam. Bo Luc Lac (Shaking Beef) is sliced/diced in small pieces and therefore easily over cooked and toughens the filet mignon. I prefer my beef medium rare. Ca Hoi Nuong (Roasted Salmon) always comes out cooked to perfection and never dry. Easily flakes with a fork and very moist. Food came out cold and the server was not very attentive. The food is so pricy for Vietnamese Comfort food. Do not get the braised fish. Nothing braised about it, it was seared fish with sauce on top. Will not come back. Superb food. Service was rather slow, which suited us, as we wanted to chat to each other for ages. Only complaint is the noise level...horrendous! Otherwise I’d give it five stars. The food was excellent and the atmosphere was nice! Definatley going back! A delightful surprise. We’d only been able to get “outdoor seating” on a chilly March evening due to a day-sold reservation but it was up on the roof fully closed in. Then the fun began. We arderás 6 appetizers and loved them so much we ordered a couple more when we ordered our main entrees later on. Swift service (like almost fast food quick) and friendly team of servers. Absolutely delicious food (chicken, beef, veggie). A big hit with the whole family (Mom’s Birthday). And a nice job with the cake we brought in ($15 cake fee ... hmmm). Not cheap but very memorable. Way better than a business lunch I had last year. Excelente alternativa de comida Vietnamita en un muy bello espacio. Servicio a la altura de sus platillos y la decoración. We had great service and as usual, the food was delicious!